Carol earned her B.A. at the University of New Hampshire and began her career in education as a teacher. After 5 years, she left teaching to work for the next 35 years as a sales and marketing professional in the high tech industry. During that time, she went on to earn a Masters in Business Administration and advanced certification as a Project Management Professional. In 2011, Carol and her husband moved from Massachusetts to Prescott, Arizona, but continued to work in their jobs as telecommuters. Soon thereafter they became involved in the community as volunteers with the Yavapai County Search & Rescue Team as part of the Search Dog Unit, training their dogs to be ready for a “call out” from the sheriff’s office to find a lost or missing person. About 50% of the “search missions” involve a senior citizen, who, often times, has dementia. Carol left Hewlett-Packard in 2015 to open Home Care Assistance in her beloved Prescott, Arizona. 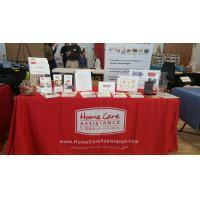 She is excited to offer innovative in-home care to seniors in Prescott and Yavapai County. Her passion is derived from her own life experience. After her father passed away in 2010, her mother lived with her and her husband. It was clear that something was very wrong, and she was later diagnosed with vascular dementia. Carol was able to keep her mother at home with her for two years until she passed away in 2012. From that experience she learned the stress of being a caregiver, the tragedy of dementia, and the importance of finding trained and skilled caregivers who are competent and compassionate. Her business and teaching experience, her personal history, and her passion for contributing to her community in a positive way form the foundation of the Home Care Assistance of Prescott business, for which Carol is the CEO and owner.